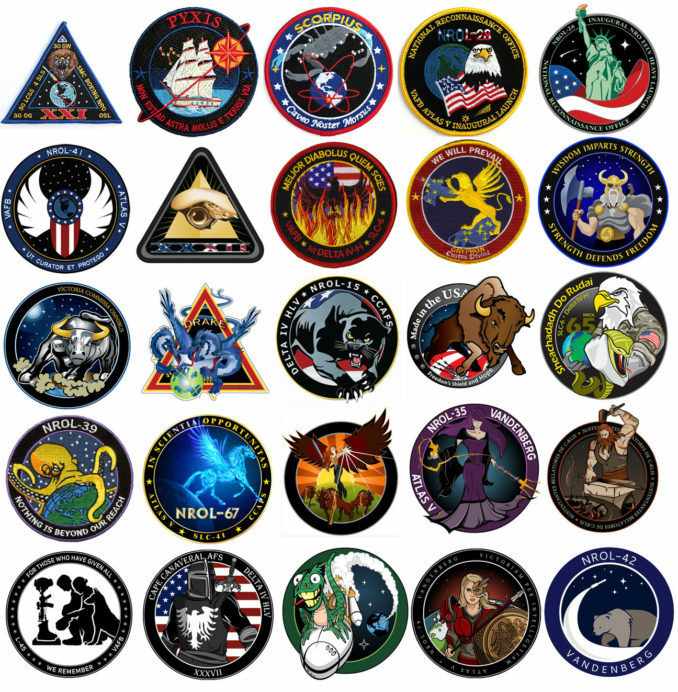 Patches of the 25 NRO missions, including this week’s upcoming launch, that have been entrusted to ULA rockets. The milestone launch in service to the National Reconnaissance Office will occur from Vandenberg Air Force Base in California. 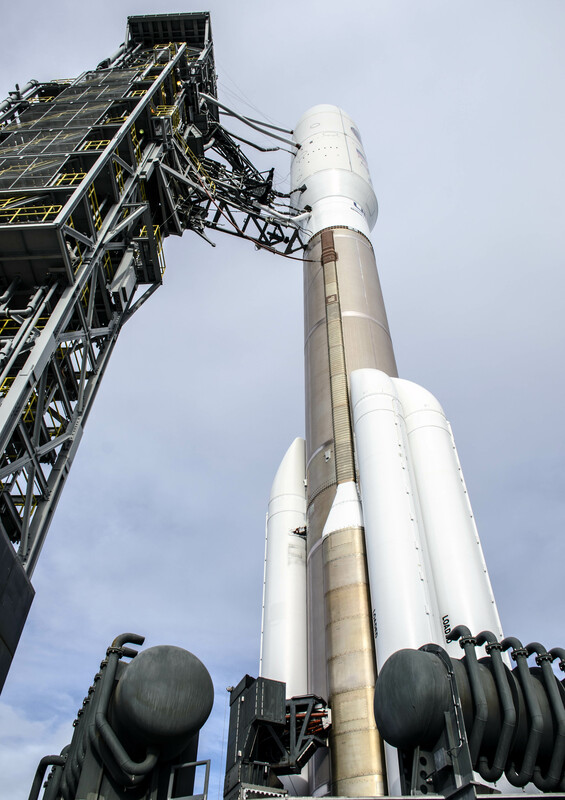 A heavy-duty Atlas 5 rocket with four side-mounted solid-fuel boosters will loft the classified NROL-42 payload from Space Launch Complex 3-East on Vandenberg’s South Base. 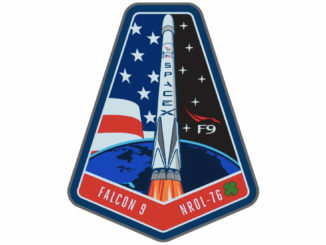 Liftoff is scheduled for 10:38 p.m. local time (1:38 a.m. EDT; 0538 GMT on Friday morning). “We are proceeding as scheduled for Thursday,” Lt. Col. Kenneth Decker, 4th Space Launch Squadron commander, said in a telephone interview Tuesday. The 4th Space Launch Squadron, a team of military and civilian personnel, is the government’s on-site team that oversees the rocket preparations from the point it arrives at Vandenberg until liftoff. The engineers and missile maintenance professionals give assurance that processing and testing of the vehicle performed by United Launch Alliance goes properly. The squadron was formed in 1994 to support Titan missions at Vandenberg’s Space Launch Complex 4, then re-chartered in 2003 for the Atlas 5 and Delta 4 launch systems from Slicks 3 and 6. “Both the space vehicle and the launch vehicle are very complex machines. So we do run into some technical issues. Anytime there is something with elevated risk, we step back and perform that independent look, and we want to be thorough…Our focus is to insure these critical payloads make it to orbit,” said Decker. The closest spot for the general public to view this launch is along West Ocean Avenue CA-246, immediately prior to the South Gate entrance to Vandenberg Air Force Base. The top of the rocket and launch pad will be visible only 2.7 miles away. Weather forecasters project that there’s a 60 percent chance of acceptable liftoff conditions, with visibility and ground winds the main worries. A backup launch opportunity is available Friday night, if needed, and the weather odds improve to 90 percent favorable with only winds posing a concern. 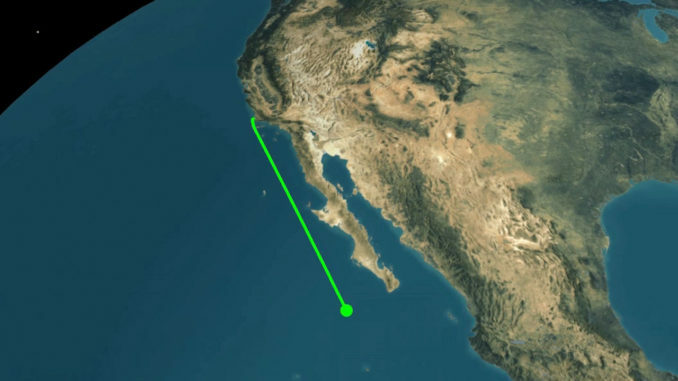 The rocket will produce nearly two-and-a-half-million pounds of liftoff thrust and follow a customary coast-hugging trajectory to orbit, according to pre-launch notices issued to mariners. Analysts believe the payload is destined for a Molniya-style highly elliptical, highly inclined orbit around Earth. That type of orbit enables the clandestine satellite to dwell over the northern latitudes of the globe for long periods of each orbit. ULA was formed in December 2006 by marrying Lockheed Martin’s Atlas 5 rocket and Boeing’s Delta 2 and Delta 4 rockets under a single corporate banner. The aim: Preserve assured access to space by keeping two paths to orbit — the Atlas 5 and Delta 4 families — viable for national security launches under the Evolved Expendable Launch Vehicle program. 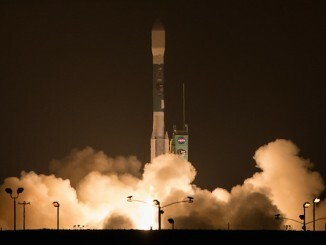 The new company’s first launch was an NRO mission from Vandenberg using a Delta 2. All 24 launches to date for the NRO have been successful, putting every payload into a usable Earth orbit. The only blip was a marginally off-nominal insertion of a tandem payload in 2007, but it had no impact on the mission and the NRO officially deemed the launch a success. The spacecraft have operated for 10 years. 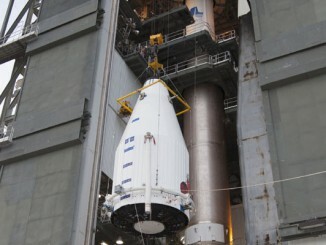 This will be the 15th Atlas 5 for the NRO. ULA has flown 9 Delta 4s and one Delta 2 for the agency as well. The collection of rockets has featured Delta 4-Heavy vehicles for maximum performance and high-end Atlas 5s, like the one flying Thursday, to carry large loads to high-energy orbits. “The NRO is responsible for developing, acquiring, launching and operating the nation’s overhead Intelligence, Surveillance and Reconnaissance (ISR) architecture,” NRO Director Betty Sapp said in testimony to Congress this year. Every aspect of the NRO’s mission has flown on the ULA launches, deploying exquisite-class electro-optical and radar-imaging observatories, geosynchronous and Molniya-orbit eavesdropping platforms, the ocean surveillance network and data-relay support spacecraft. This NROL-42 mission was assigned to ULA as part of the 36-core Block Buy from the U.S. Air Force. Then-Secretary of the Air Force Deborah Lee James testified to the U.S. Senate, in questions about the Block Buy, that the NROL-42 satellite mass to orbit exceeded the capabilities of SpaceX’s Falcon 9 to lift it. That made this mission unsuitable for competition and left ULA as the only U.S. firm that could launch the payload. The Atlas 5 family is designed to be modular in concept and tailor each vehicle to the given payload being launched, adding SRBs for additional thrust when needed and enclosing the satellite in either a four-meter shroud or a bulbous five-meter one. The NROL-42 payload requires a powerful 541 version of the launcher, which has flown four times previously in dispatching NASA’s Curiosity rover to Mars in 2011, a pair of NRO missions in 2014 and deployment of the advanced GOES 16 weather observatory last November.